UPDATE: The website for this organization is no longer responding. 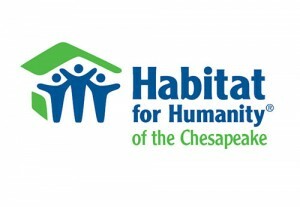 Take a look at the Chesapeake Habitat for Humanity page instead. Arundel Habitat for Humanity is a non-profit, Christian ministry which works in partnership with people from all walks of life to provide, through new construction or renovation, simple, decent and affordable housing for low-income families in Anne Arundel County. Arundel Habitat for Humanity was founded in 1987 and has built over 85 homes in Anne Arundel County and the areas of Brooklyn and Curtis Bay. Habitat Chesapeakeâ€™s goal is to provide hard-working individuals and families in Anne Arundel County, Baltimore City, Baltimore County and Howard County with the knowledge and opportunity to purchase a decent, affordable home. Habitat for Humanity does more than build houses — it partner with homebuyers, volunteers, donors, businesses and community organizations to transform lives and rebuild communities. Through HomebuyerÂ AcademyÂ classes and their investment in sweat equity hours, homeowners learn the skills necessary to successfully own and maintain a home for the rest of their lives. These individual homeowners become part of a larger group that works to bring change and new life to communities. Habitat for Humanity ReStores are nonprofit home improvement stores that sell building materials, furniture, appliances and more at discounted prices. Consisting of gently used items donated by people in the community, the inventory is always unique. The profits generated by the sale of these items are invested back into Habitat Chesapeake, helping to build more decent, affordable homes for our partner families.